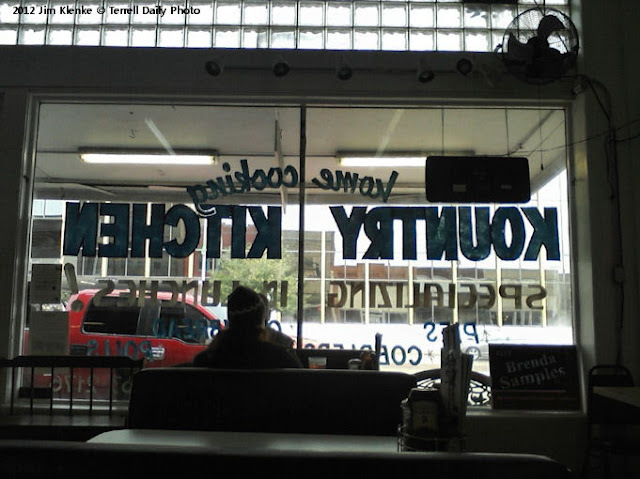 Kountry Kitchen has the best breakfast in town. It's hard to resist a short stack, biscuits with sausage gravy and a side of bacon........with a diet coke. You can tell election season is on its way. Notice the sign in the window.